"I wish to go to Tokyo to face Tenshin Nasukawa in a Mixed Martial Arts exhibition bout. McGregor ended the tweet by addressing both UFC and Paradigm Sports Management. 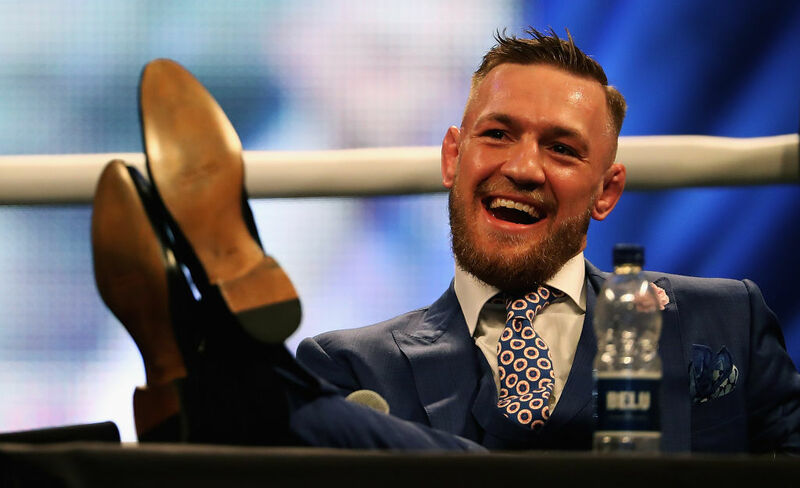 Mayweather made a reported $9 million for a fight that lasted a little over two minutes, so the appeal for McGregor, coming off a defeat at the hands of Khabib Nurmagomedov, should be obvious. "Dear Mr. McGregor. Thank you very much for remembering my name. I'm honored that you would even consider fighting me. 58kg, kickboxing rules would probably get us in the ring sometime in the near future  I will fight my RISE world GP this year so please watch your diet and wait for me!" Kickboxing rules would not be the only difference in this fight, should it ever happen according to Nasukawa's terms. His stated weight of 58kg (127.8 pounds) would be another big advantage for Nasukawa, since it's close to his own familiar fighting weight and a big cut in weight for McGregor. Add to that the change from a UFC cage to the also familiar kickboxing ring, and there's a lot that needs to be sorted out between the two fighters if this exhibition is ever actually going to happen. Now, the waiting game begins, because as Nasukawa alludes to in his Instagram post, he has the big RISE kickboxing grand prix coming up and McGregor reportedly has rematches with Khabib and Nate Diaz on the docket as well.